Improve the environmental profile of your company’s products and processes using Life Cycle Assessment (LCA). In today’s world, more and more companies recognize their environmental responsibilities run from “cradle to grave.” Understanding how your company’s products measure up requires new tools for looking at environmental impacts across the production process. Now you can get up-to-date on the latest advancements in Life Cycle Assessment (LCA), a powerful and evolving toolset for managing environmental impacts and sustainability. In this online course, taught by a leading expert in sustainability, you’ll explore the role lifecycle information in the hands of companies, governments and consumers may have in improving the environmental impact of consumer products and the industrial processes behind them. This eight-unit course provides an overview that will help any attendee better understand how LCA is conducted and the impact it can have. Government policy-makers will learn how to make environmentally-driven policies at the local, state and national levels. 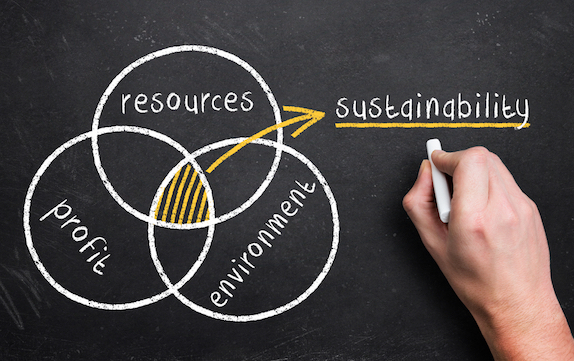 Product manufacturers will discover how to advance sustainability. University students will identify environmental assessment tools. And, members of NGOs and consumer protection groups will learn how to promote proper environmental product labeling. • Why it is important to use a life cycle perspective in environmental management and achieving sustainability goals. • The steps involved in the ISO LCA framework, from scoping to interpretation. • How to place “life cycle thinking” in proper context with environmental strategies as they have evolved. • Real world examples of LCA applications and how life cycle approaches are used by industry and government. • The definition of life cycle thinking and life cycle management. • What a life cycle approach is. • How LCA relates to LCT. • Not all life cycle studies are LCA. • The role of single issue approaches, such as carbon footprint. • How to properly define the goal of an LCA. • Defining the system scope and boundaries. • Examples of applications in the public and private sectors. • Conducting impact assessment and interpreting the results according to the goal. • The steps in compiling and quantifying inputs and outputs of the unit processes that make up an industrial system (as defined by in the goal and scope definition phase) to create an LCI. • The differences in methodological approaches when creating an LCI and how these choices can affect the final results of the assessment. • Available databases and data sources that can be used to create LCI. • Available LCA software programs, both free and for purchase. • The steps involved in the ISO framework for the LCIA phase. • Midpoint versus endpoint modeling. • Common midpoint impact categories. • How characterization factors are applied to LCI results in impact modeling. • Internal versus external normalization. • The steps defined by ISO that are involved in the interpretation phase. • Uncertainty, sensitivity and contribution analysis. • The basic requirements of a final LCA report. • Alternative ways to present results. • When and how to conduct peer review. • What an Environmental Product Declaration is. • The use of LCA as a tool for achieving sustainability is steadily increasing. • Carbon Footprint as it relates to LCA. • Key international activities related to LCA methodology development and application. • The evolution of environmental management strategies from end-of-pipe control to life-cycle based sustainability. • Life Cycle Sustainability Assessment integrates the information from LCA, life cycle costing and social life cycle assessment in the decision making process.